What are kids doing better than their parents? Saving their money, it turns out. 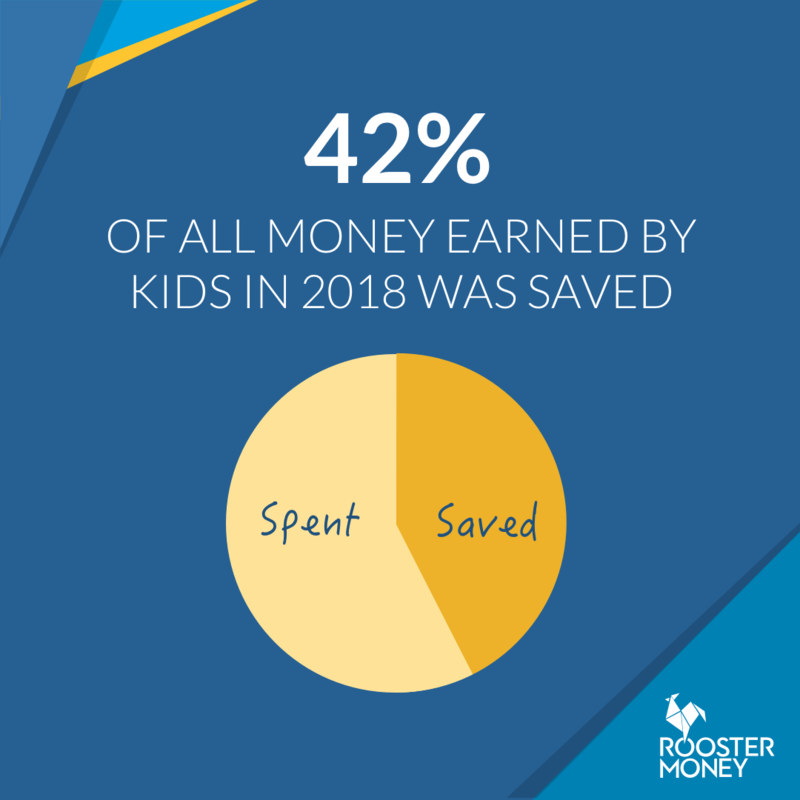 Last year, children between the ages of 4 and 14 received about $471 in personal spending money, or roughly $9.06 a week, according to RoosterMoney, an allowance tracking app. The company analyzed data from nearly 30,000 of its users. On average, the children were able to save 42 percent of their earnings. While RoosterMoney has previously gathered data on the allowances parents give their children, this year the company tweaked its chore-tracking system so that it can more closely follow the payments earmarked for specific household tasks. The chore that commanded top-dollar from parents was washing the car, which earned kids an average $4.60. Kids were paid an average $4.34 for gardening and $2.71 for cleaning bedrooms, RoosterMoney found. The top three things kids saved money for were mobile phones, Legos and tablets, respectively. By teaching your child to save for costly items, you help him understand that he’ll have to make sacrifices in the present in order to afford those luxuries in the future, said Cristina Guglielmetti, a certified financial planner and founder of Future Perfect Planning in Brooklyn, New York. The data also showed an increase in the weekly allowance amount that the children received according to their age. 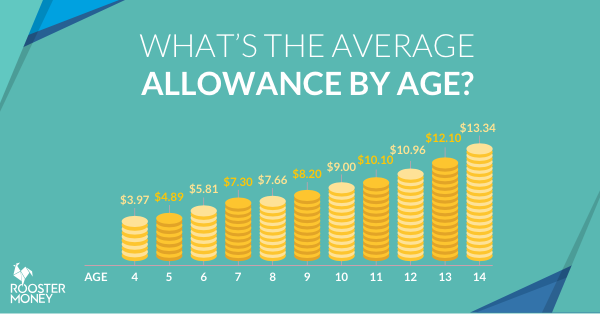 It makes sense to revisit your child’s allowance as he or she gets older. “There is not necessarily one right way to do it, but it does make sense to periodically have check-ins and adapt the amount of money that they are being given to the circumstances,” said Guglielmetti. When you decide how much of an allowance to give your child, teach him or her that a third of it should be saved, said Guglielmetti. Another third should be allocated toward giving or donating, and the remaining third chould be earmarked for spending. Motivate your children to save for more costly items by encouraging them to save up half of the purchase price, while you foot the rest, Guglielmetti said. You can then plan out together how long it would take them to save up for what they want. Your child might be a better saver because you’re buying them the items they want, instead of having them use their allowance to make purchases, Guglielmetti said. Guglielmetti also doesn’t think you should be paying your kids to do housework. However, when you do give them an allowance, be sure that it’s appropriate for the expenditures they incur when they are out on their own. Buying or selling your home? Is your agent working in your best interest?